Anna, darling! 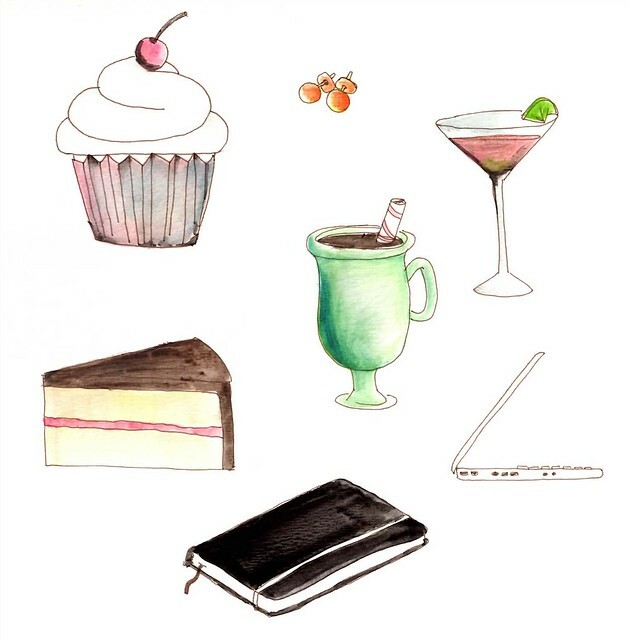 I was wondering what happened to your lovely self, but now I can see you’ve started this gorgeous blog. Love it!I must say, whenever I head the word “spectacles,” I think of “Spectacles, testacles, wallet and watch,” from Austin Powers. Guess that phrase really stuck with me for some reason??? Haha. Anyway, I hope this blog goes whichever direction you want to take it! Congrats on the move, chiquita! We seem so similar…I can tell you have a great sense of style just from the way you describe yourself. Can’t wait to get started reading your blog…and thanks for the lovely comment on my post tonight. Hi girl! Just found your blog and I’m loving it so far! I have an online shopping problem, too. And my UPS guy knows it. Great blog, I love reading it and knowing that I’m not alone in this! 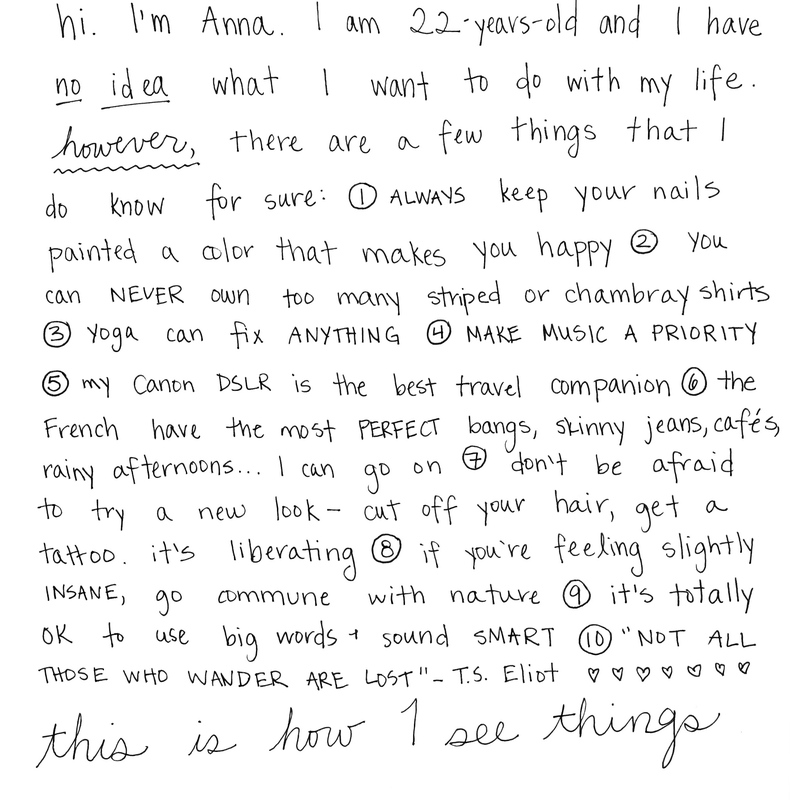 i jsut wanted to say that i just found your blog Anna and i’m legitimately OBSESSED with it/ i want to be your best friend. k, needed to get that out there. i pretty much agree with/ am guilty of all of the above statements with which you describe yourself…. Hi there! I just stumbled on to your blog, and I have to say that it sure made me smile :D I love this idea of seeing things through your eyes. Plus, your list made my day! Loved your comment regarding the mythical beings, Scandinavians. I thought you’d like to know that I dropped my bike and knocked over six others outside of the hovedbanegård the other day and as I stood their red-faced trying to detangle the mess, I’m positive every person within 100m just shook their head and sighed, ‘foreigner’. I love your blog and the way you approach things—reminds me of me when I was young (a long time ago), but never had the chance then to do all I wanted, and for sure there wasn’t all the technology to help share the adventures! I look forward to more from you. Good luck! This is such a great little about me page! I really love it. Agree with you on so many of those!